Some news has been revealed about Project Coral, which although being teased over nine months ago, not much has been said about in recent months. Unfortunately, it didn’t seem like it’d release anytime soon as priority was always taken away from Pengur onto Club Penguin Rewritten, but that seems to fortunately be changing at the end of this year. 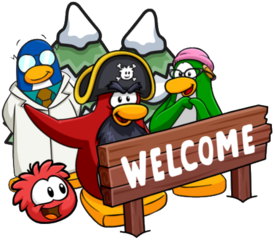 UPDATE: This exciting news was not related to Pengur, but it actually was the return of Club Penguin Rewritten! Hagrid, the owner of Club Penguin Rewritten and an administrator of Pengur, has confirmed that there is “news” to be revealed in the next few days. He also confirmed that this news was related to Club Penguin. Yesterday, he also revealed that “two big things” are “in the works”, and only one of that includes Pengur’s Project Coral with it being unknown what the other thing is. It is very likely that this could be related to Pengur, but it could be something else too, especially since it’s something other than Project Coral! I’m honestly incredibly excited to find out what’s being planned, and I will be sure to keep you updated. For now, I don’t really have any guesses whatsoever, so I’m really curious to find what’s planned, especially since Hagrid is very talented and that its Club Penguin related. Pengur is an exciting private server which is due to release later this year, with it being filled with beautiful designs and more! Earlier this month, as a little teaser, the team released a very short video which reads “Big things are coming”, followed by the word “Coral”, which seems to be the name of this secretive project. So what do we know about Project Coral so far? Hagrid, who was an administrator for Club Penguin Rewritten, has described it as the “biggest project” he has worked on. 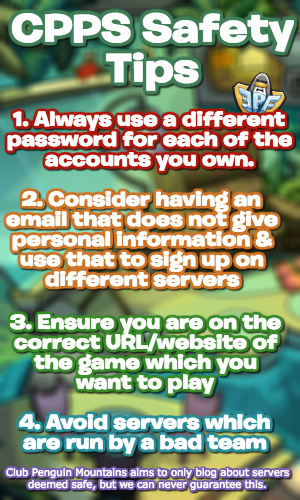 Stu, another administrator for Club Penguin Rewritten, released the following information around it, describing it as a “different experience”. It will change everything, that’s for sure, it’s exciting and definitely an entire different experience which we can not wait to share with you all. So many other Pengur staff members have repeated the word “Coral”. You may be wondering what it is, and honestly, I have no clue. It could be an acronym, a new design, a new source, the possibilities are endless and I’ll be sure to update you when more information is revealed! So you may be wondering, what has actually been confirmed about Pengur? Well. a variety of sneak peeks have been released and they all look beautiful! These are the photos shared after the game went down last year. These all look really incredible, and I’ll be sure to post more photos as they get released! I hope this shares why so many penguins are incredibly excited for this new experience, and it definitely has my full support!